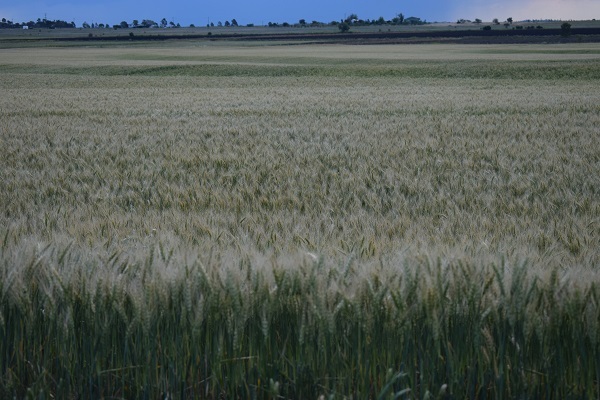 SEASONAL concerns continue to hang over the outlook for Australia’s agricultural sector, despite much-needed rains have finally fallen over some of the country’s drought-affected regions, the latest Rabobank Rural Confidence Survey has found. While rain had spurred a lift in overall rural confidence from its recent 12-year low, the final quarterly Rural Confidence Survey for 2018, released today, found 40 per cent of the nation’s farmers continued to hold a pessimistic outlook for the year ahead, with drought the primary concern. A total of 94pc of surveyed farming businesses indicated some level of preparedness for drought, with more than 50pc reporting they are more prepared now than five years ago. Rabobank Australia chief executive officer Peter Knoblanche said farmers had put in place structures and developed strategies to help manage the variables in seasonal conditions, including building up cash reserves when seasons allowed and investing in water and feed infrastructure. 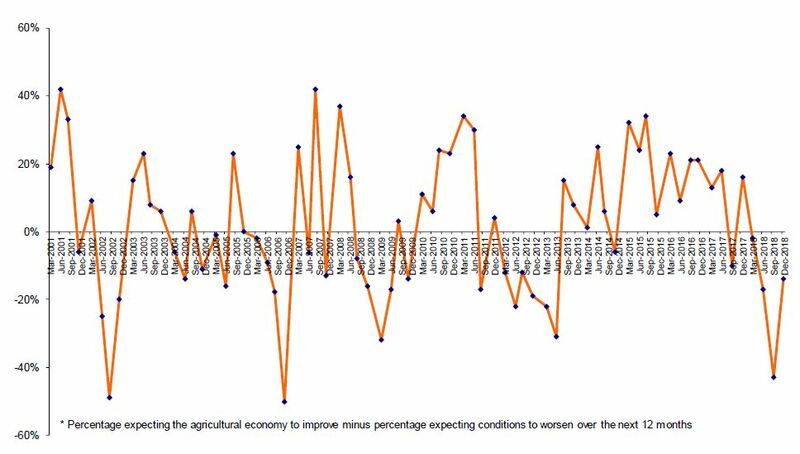 The latest survey, completed in November, found the percentage of Australian farmers expecting conditions in the agricultural economy to deteriorate in the coming 12 months edged back to 40pc – from 56pc who held that view in the September quarter. Drought remained the key driver of this pessimistic sentiment, cited by 87pc of those with a negative view as reason conditions were likely to worsen. The percentage of farmers expecting conditions to improve doubled to 26pc, while a similar percentage (30pc) expected little change over the next year. “There have been significant rains in parts of the Darling Downs and south-west Queensland as well as parts of New South Wales, Victoria and Tasmania,” he said. In line with overall confidence levels, the nation’s farmers also revised up expectations for their own gross farm incomes in 2019 – although 42pc still anticipated a weaker financial result, a slight improvement on 49pc with that view in the previous survey. The proportion of farmers expecting higher gross farm incomes rose to 24pc of surveyed farmers, up from 18pc, while a third expected little change in their financial situation. Income projections in WA outstripped the rest of the country, with close to half (48pc) expecting an increase in incomes in the coming year. This saw the WA farming sector holding the greatest investment appetite in the survey, with 34pc of the state’s producers looking to increase investment in their farm business over the coming 12 months – compared to the national average of 18pc. That said, across the country, the majority of farmers are still intending to maintain investment at current levels – with 64pc holding this view. “October was an exceptionally dry month in Tasmania, but since then, there have been some handy rains and if this continues we would expect to see a bounce in confidence early next year,” Mr Knoblanche said. Queensland posted the largest rebound in confidence, he said, to edge into positive territory this quarter (with the number of farmers with an optimistic outlook outweighing those who are pessimistic). Confidence also lifted in NSW, South Australia and, to a lesser extent, Victoria – albeit remaining subdued. By surveyed commodity, confidence was also up across the board – although remained subdued – in all sectors except dairy, which posted a small decline with 55pc of the nation’s dairy farmers expecting conditions to deteriorate over the coming year. “This could drive a sizable drop in milk production, particularly in northern Australia and the Murray Darling regions, with the national milk pool at risk of falling to a two-decade low,” he said.